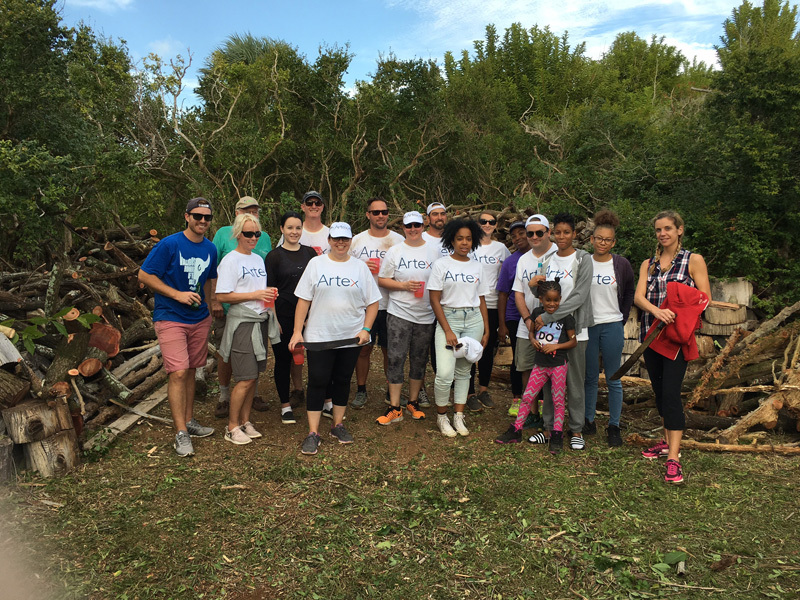 Last week, 17 Artex employees and their family members participated in a charitable event in partnership with the Bermuda Zoological Society [BZS] – a registered Bermuda charity that supports the Bermuda Aquarium, Museum and Zoo. In 2015 BZS purchased a 2.4 acre lot on Trunk Island, in Harrington Sound, with plans to create an outdoor classroom for schoolchildren and adults. This “living classroom” highlights conservation and the environment, and all classes for Bermuda’s students on Trunk Island are free of charge. BZS also uses the island for overnight camps, educational workshops and nature encounters. 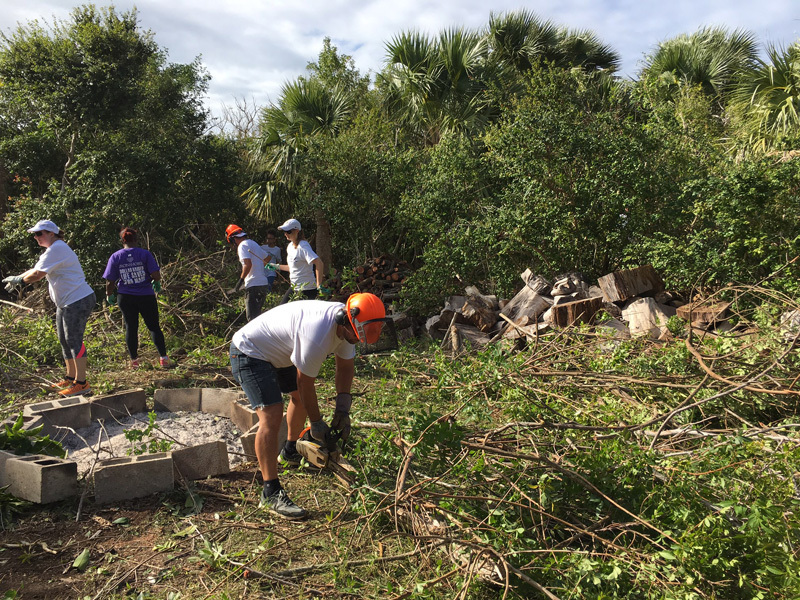 The island’s restoration is still underway, as teams work to clear it of invasive plants and replace endemics. 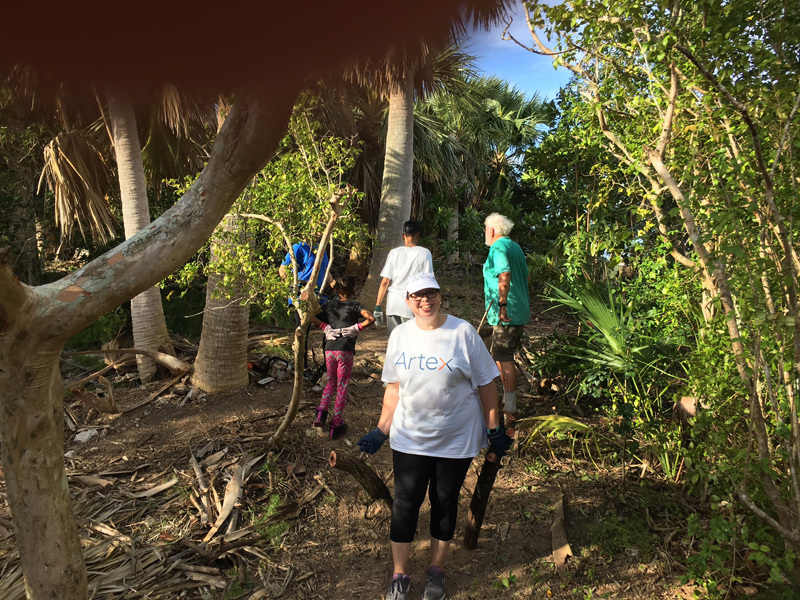 The afternoon of December 9, the Artex team worked together to cull and remove invasive Brazilian Pepper Trees, aiding in the restoration of the island. “Thank you to the team from Artex for all their hard work during their corporate day of giving out on Trunk Island”, said Colin Brown, President of the Bermuda Zoological Society.